Once a fireman always a fireman. This is Dr. Ben Warren (the character, the actor is Jason Winston George). He was a doctor on Grey's Anatomy for several seasons, and is married to Dr. Bailey. But after saving a few people from the hospital when it exploded and was burning down (don't ask)...he decided he wanted to be a fireman. And now he's starring in the Grey's Anatomy spinoff, Station 19, as a fireman, duh. BUT GUESS WHAT. THIS AIN'T HIS FIRST FIREMAN RODEO!! The other day I was watching Friends on Netflix, as one does, when I noticed a familiar-looking fireman. After a very quick IMDB search, my theory was proven true. 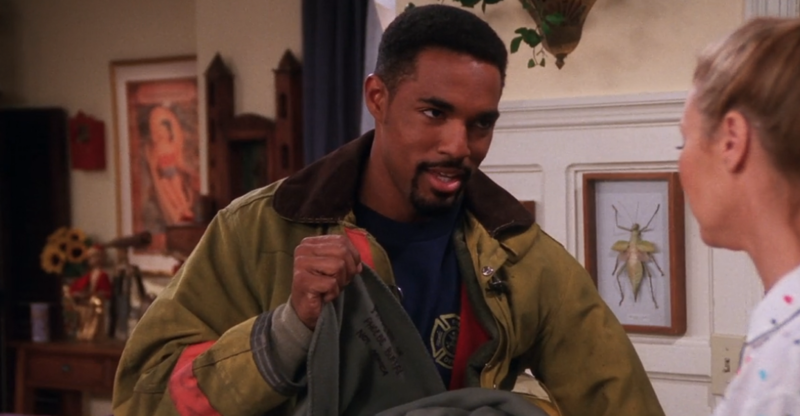 Turns out Jason Winston George indeed was *the* fireman in the episode "The One Where They're Up All Night". He found Phoebe's fire alarm in the garbage when she threw it away cause it wouldn't stop beeping, and then brought it back to her. So clearly now I realize that him becoming a fireman on Grey's Anatomy/Station 19 is no accident. It's gotta be because Shonda Rhimes or SOMEONE in Shondaland saw his fireman acting skills on Friends, understood that he looked extremely good in that uniform, and decided to adjust their entire series + create a new show accordingly. 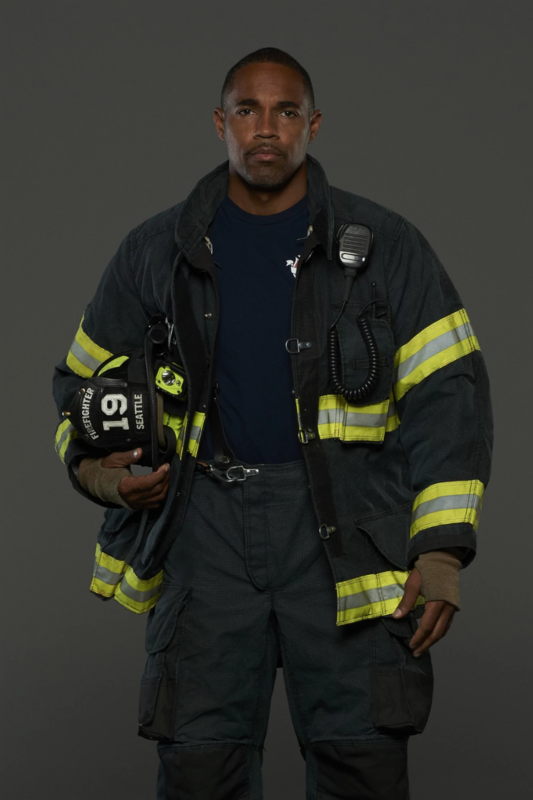 So yeah, can you believe he, as a thespian, has played a fireman not once...but TWICE? Absolutely bananas I tell ya!! !